Before signing up for a Debt Management Plan, a counselor will spend 45-90 minutes reviewing your personal finances and budget. 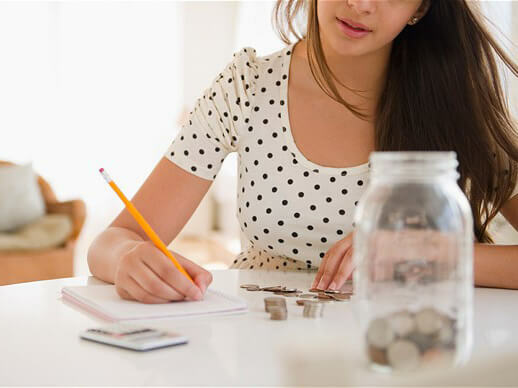 The counselor will offer expert advice on reducing debt and controlling spending, and the client will be given a new budget that is customized to his/her unique situation.Most clients benefit from this counseling and education alone, but some clients need the additional help of a Debt Management Plan. Unsecured debts may be included in the plan; secured debt such as mortgages, home equity loans, and auto loans are not included, nor are student loans. Collection debt may be included if the collector has not gotten wage garnishment after receiving a court judgment. All of the consumer’s credit cards must be closed, while on the plan, and no new credit may be obtained. The Debt Management Plan alone is only part of the solution. Clients are urged to take advantage of all of the free financial education courses we offer. The DMP is a voluntary agreement between three parties; the counselor, the client, and the creditor. Each party has certain expectations to meet if the DMP is to be successful. Budgeting help. We create a workable budget with the client, along with continuing assistance during the life of the plan. We also offer our Power of Paycheck Planning seminar along with other budgeting courses to help our clients refine their budgets over time. Liaison between parties. We can serve as an intermediary between the creditor and client, and can speak to either party on the other’s behalf. Payment processing. We accept deposits electronically from our clients every month, and then disburse those funds to creditors on a fixed schedule to ensure timely payment. Progress report. We prepare a monthly progress report that shows the client what payments were distributed to creditors along with a remaining balance owed on each debt. Education. Besides budgeting, we offer free courses and seminars on preventing identity theft, using credit wisely, understanding credit scores and credit reports, surviving a layoff or job loss, financial planning, planning for holiday spending, educating kids about money, avoiding foreclosure, and more. Housing counseling. If needed, we have HUD-certified housing counselors who can help our clients who are homeowners. Ongoing support. We have support staff standing by to help our current clients if they run into any issues or have any questions. Accept payments. Creditors allow us to transmit payments electronically directly to them, so the funds we disburse on behalf of our clients are transferred quickly and without any complications. Even creditors who don’t offer other kinds of help will accept payments; it’s extremely rare that a creditor will refuse to accept payments through a DMP. Stop calling. We can’t make a creditor stop calling to collect a debt, but usually their calls will stop once they’ve received three monthly payments in a row. Update your credit report. While on the DMP, your credit report will say that you are enrolled (this has no effect on your credit score). After you complete a DMP and pay off your debts, the creditor will mark the debts as paid in full. Concessions. Creditors may waive interest rates, lower monthly payments, re-age accounts to stop late fees, or offer other concessions to help clients successfully complete a DMP. Every creditor offers a different set of concessions, but most of them help in some way. Learn. Clients should take advantage of the free education we offer on a variety of topics, including budgeting and using credit wisely. Make payments. As long as payments are made in full and on time each month, a client will have no trouble succeeding on the DMP. Do not seek new credit. If a client tries to apply for new credit while on a DMP, the other creditors will know about it through the client’s credit report. They will stop offering concessions and reinstate fees and interest rates from before the DMP began. Read all statements and our progress report. It’s crucial that our clients monitor the statements they get from their creditors every month. (The creditors will not disclose this information directly to us.) They should compare that information to what’s in our monthly progress report and ensure that everything matches. If anything is different between the creditor statement and what we show in our paperwork, the client should call us right away. Call for help. If a client needs any additional advice or assistance, they should call our support counselors right away. Due Dates. Our clients may need to talk to their creditors about shifting payment due dates to ensure that the DMP payment comes in soon enough to make all debt payments on time. Clients may want to pay a month in advance to stay ahead of the due dates and ensure they never have late payments. Late Payments. If clients do make a late payment to us, the disbursement we make to the creditors will be late, and the client’s credit report will be negatively affected. Missed payments. Clients should call us if they think they might miss a payment for any reason. Creditors may suspend concessions for clients who are delinquent, and they will expect clients to make up the missed payment to get back on track with their DMP. Clerical errors. If a payment is improperly credited or the amount is entered incorrectly by a creditor, it could lead to big problems. As always, clients should confirm that our progress report matches the creditors’ monthly statements, and call us if anything is inconsistent. Client receives credit counseling session, which includes a budget and debt repayment plan. Client is offered free educational materials and personalized money management advice. The client’s debt and financial information is entered into our computer system. If the client is a good candidate, a Debt Management Plan is proposed. Proposals are sent to creditors based on the DMP that was created from the client’s information. Clients sign up for automated payments. The client’s monthly payment is transferred automatically every month from the client’s bank account. Funds are distributed by us to creditors using electronic transfers, ensuring payments are received on schedule. We send a monthly progress report to the client. Client reviews this progress report, comparing it to the statements s/he gets from the creditors. When one debt is paid off, the DMP payment remains the same. The extra funds that were going to the paid off account are split up between remaining accounts. This accelerates debt payoff. Client should call us at any time during the life of the DMP to report any issues or concerns, seek additional assistance and advice, or if any of their circumstances change. According to FICO, a DMP has no direct impact on one’s credit score. Naturally, anything you do with regard to your debt repayment will have ancillary effects on your credit. Because all credit accounts must be closed while on a DMP, one’s score may drop at first. However, if DMP payments are made in full every month, one’s credit will improve over time. Read more about How a Debt Management Plan Affects Your Credit.